uPVC door problems solved regardless of the age of the door. All parts are original and fully guaranteed for two years. 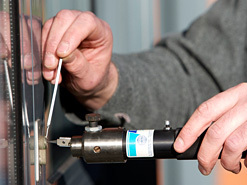 Protection against locksnapping is achieved by the fitting of antisnap locks in place of your existing weaker locks. 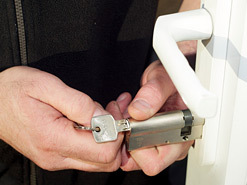 With over 20 years experience, SF Locksmith provide an emergency lock repair, replacement and fitting service. Whatever the problem, we guarantee we will be able to help. As a family run business, SF Locksmith pride themselves in traditional values and aim to ensure that all customers receive a fast, reliable service with the peace of mind that you are dealing with the Number 1 locksmith company in Sheffield. SF Locksmith understand that a customer's biggest fear is having their home broken into and their personal belongings damaged or stolen. We can offer you an instant solution with a speedy call-out to secure your home in these circumstances. Our aim will be to fit the best possible products and proven security upgrades which suit your property, to guarantee that you will feel safe and secure in your home for the future. Lost the keys to your front or back door, or maybe accidentally snapped the key in the lock? Only a phone call away, SF locksmith can either gain access to your property if you are locked out or extract that broken key quickly and efficiently. 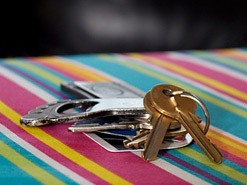 When inside the property we can change all necessary locks, if needed, and provide new keys for all family members ensuring your safety and possesions immediately. SF Locksmith is a fully trained and experienced Sheffield locksmith company who have all the skills and knowledge required to gain entry to your home or property, regardless of what type of lock you have fitted and without causing unnecessary, costly damage and with the minimum inconvenience. Our emergency call-out service aims to answer your call in an instant and provide a convenient solution to your situation. Our dedication to customer service guarantees an all round professional service to aleviate the stress which comes with being locked out of your home.